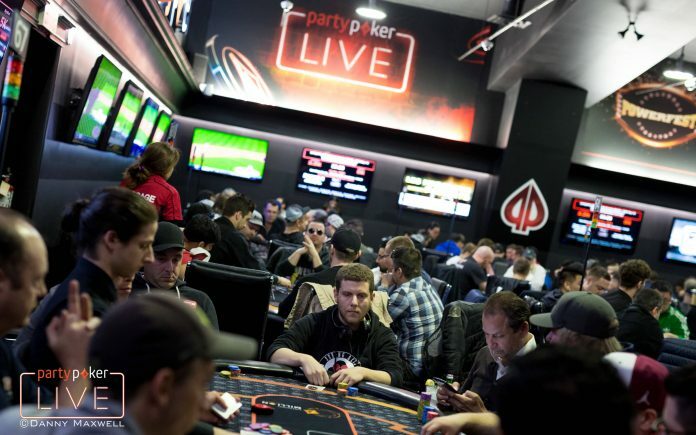 Montreal and the Playground Poker Club play host for the second time to one of poker’s largest series when partypoker LIVE MILLIONS comes to town. From April 21-May 2, the scope of the poker eye moves north of the United States border. Season 2 of partypoker LIVE starts with a bang with a C$10 million guaranteed prize pool for a C$5,300 buy-in. The top two finishers are guaranteed at least C$1,000,000. This number holds to form with previous partypoker LIVE events of similar guarantees. The 2017 rendition of this event drew an international crowd of 1,168 and put close to C$6 million in the prize pool to surpass the C$5 million guarantee. Canadian Jean-Pascal Savard emerged victorious over a strong final table featuring Ari Engel, Niall Farrell, and Matt Waxman to win C$956,050 ($696,169). This year’s partypoker LIVE festival features strong guarantees outside of the Main Event. partypoker’s success in drawing the high rollers in at Barcelona hopes to be carried over at Playground. On the schedule of events for the MILLIONS North America series is a trio of C$1,000,000 guaranteed tournaments. The first on the list is a C$10,300 High Roller that kicks off the series on April 21 and features two starting days. A C$1,100 event follows on the schedule with two starting flights to put approximately 1,000 runners in the field to meet the guarantee. A similar event at Fallsview in February as part of the Fallsview Poker Classic drew 1,387 entrants for a C$1,100 buy-in. Finally, the big boys get in the action with the C$25,300 Super High Roller that opens on April 23 and wraps up on April 24. The partypoker standard of including online Day 1s holds to form in Montreal (and technically, around the world). Day 1 flights are running on partypoker.com with players able to “bag” and advance to one of two Day 2s. There are five Day 1 flights at Playground and depending on which Day 1 they advance from, players return on either April 28 or April 29 for their respective Day 2. Playground is partnering with another member of the Canadian poker family for live Day 1s. The Deerfoot Casino in Calgary, Alberta is hosting $C5,300 buy-in Day 1 and Day 2 flights. Day 1 in Deerfoot is April 17 followed by Day 2 on April 18. All Day 1s at Playground carry 60-minute levels with the exception of Day 1E, which is reduced to 40-minutes. Any player who bags after Day 2 at Deerfoot earns $1,200 expenses to head to Playground for April 30th’s Day 3 where the full field is to be assembled. The Main Event wraps on May 2 on Day 5 with a live-streamed final table exclusively on partypoker.com. The seven-figure guarantees are far from over when the Main Event starts. There are two more C$ 1,000,000 prize pools that take place starting on April 30. The C$1,100 Turbo opens with two starting flights spread across April 30 and May 1. The final table plays out on May 2 with 30-minute levels for the duration of the tournament. It’s not called a “High Roller” but the $10,300 Finale carries the same buy-in as is predecessor along with a seven-figure guarantee. There is only one Day 1 for the Finale followed by Day 2 on May 1 and the final table on May 2.